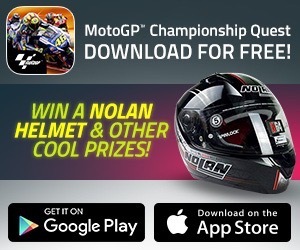 Melbourne, Australia , October 21, 2016	(Newswire.com) - ​​Dorna Sports, the rights holder of MotoGP is discovering the power of mobile devices as the official MotoGP Racing App crossed a key milestone of half a million daily races by fans of the sport and will generate over 15 million races in October and 1.8 million hours of 'second screen' time. 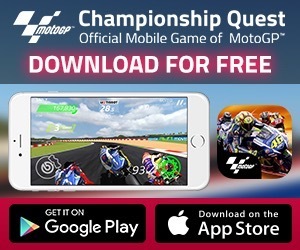 Available on the Apple AppStore and Google Play, MotoGP Championship Quest is the first free to play mobile App developed around MotoGP. It's widespread availability is giving the sport a boost in fan engagement, especially in markets where motorcycles are more than entertainment but a way of daily life. In Indonesia, the App is one of the most downloaded games in the App Stores and throughout Europe where scooters and motorcycles are the commuters choice, the App has garnered millions of users. 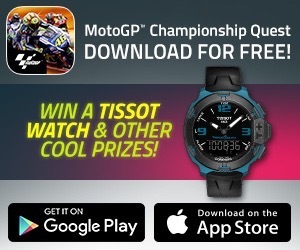 The Fan World Championship is a weekly race series where the MotoGP rider who has the highest average fan score wins that round of the series. If it were a popularity contest Valentino Rossi would win hands down, but the Fan World Championship is more about the fans time and effort commitment to supporting their favorite rider regardless if there is 1,000 of them or a million. The riders success in the series is directly dependent on the efforts of their fans. 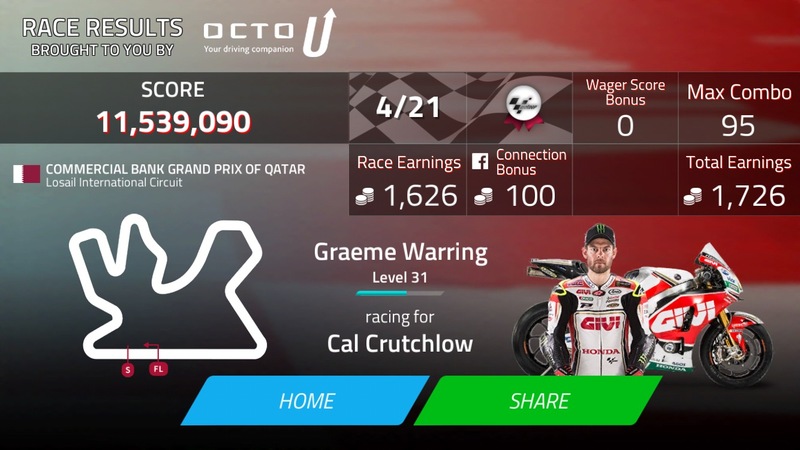 The popularity of the App has also been a win for the sponsors of the teams and Grand Prix series. In the third quarter Engagement Report, brands such as Tissot, Michelin and Brembo have seen hundreds of millions of "brand impressions", a key metric used to value effectiveness of sponsorship in sports. Warring said "We approached the development of the App to be an extension of the Television experience, whether people play it for a few minutes on the bus or chilling out at home. The fact that the fans are seeing high quality graphics of a race on a screen is very much in line with traditional sports media." 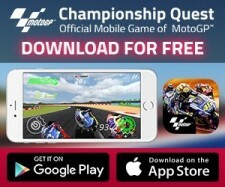 As the 2016 MotoGP season draws to a close with the fly away races in Japan, Australia and Malaysia followed by the final race in Valencia, Spain, the MotoGP Racing App is also a key component in the strategy to extend the season. The MotoGP Fan World Championship runs until the last day of 2016 before starting again January 1 for the 2017 season. This gives fans the opportunity to race and win cool prizes including a magnificent Brembo Fan World Championship trophy, flights and passes to races, and limited edition Tissot watches and X-Lite helmets, amongst other things. “MotoGP is the only sports series which has approached the fan engagement in such a serious way. It really is an outstanding series for the fans and presents them with a way to make a meaningful and noticeable contribution to their favorite riders. The simple convenience of a smart phone App opens up participation to the masses in every corner of the world,” Said Warring.